A wave of panic blew yesterday on social networks. 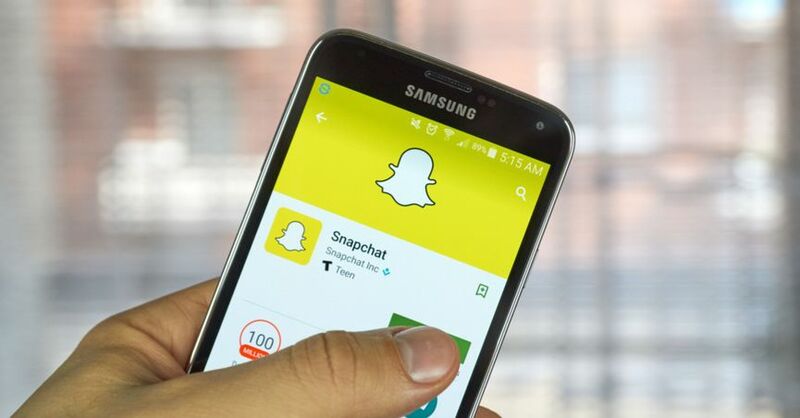 Snapchat was down and a rumor announced the closure of the service for mid-November. Since its inception in 2010, Snapchat has been one of the most successful apps ever. It now has more than 300 million active users who had to have cold sweats this November 6, 2017. An "information" indicating that the service closed in mid-November 2017 has indeed spread like a wildfire on social networks. It took the CEO of Snapchat and the support team of the site split two tweets to reassure Internet users. Back on this funny story. 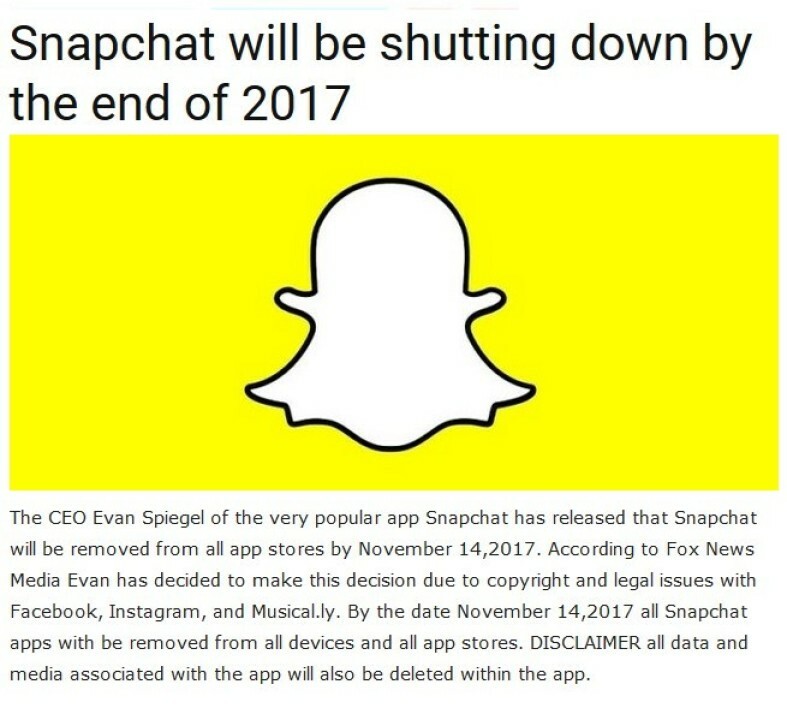 This is a message that Snapchat's CEO Evan Spiegel decided to close the service on November 14th due to "copyright issues and legal issues with Facebook, Instagram and Musical.ly" and that "all data and media associated with the app would be deleted" which lit the wick and was shared a very impressive number of times. But this message was a fake. If they had clicked on the link associated with this message before sharing it, users could have seen the words "You got owned! At the top of the page and "You've been pranked! " on the right. In other words, "you have been trapped". This announcement was in fact a joke generated on Channel45News.comwebsite which allows to create "information" resembling real releases so that users can trap others. And it worked perfectly. To defuse the growing panic of service users, Snapchat's CEO, Evan Spiegel, and app support both tweeted that the information was wrong by referring to Snopes , a website created to limit the spread of computer hoaxes and unfounded rumors circulating on the Web, for more details. If a large number of users of the service are so quickly alarmed, it is also because the same day Snapchat has faced a failure blocking all publications. In less than two hours yesterday, the hashtag #SnapchatDown had accumulated more than 100,000 mentions. Many users were particularly worried about losing their "Memories" or their flames, this icon that appears when a user sends "snaps" for several consecutive days to a friend. Everything is now back in order, both on the side of the breakdown than the one of the supposed closure of the service. Snapchat is fine, until the next hoax.